Home economics for girls and shop class for boys. The 1960s pigeonhole view of the world. In Milk River, where I grew up, it was a tradition long set. And trying to buck convention didn’t work. Trust me, I tried . . . They had the wondrous world of power tools to explore as they overhauled engines and built furniture. Mostly, it was all right. I mean, I like cooking and cleaning and sewing. But when you do it at home a lot, there’s really not much excitement to doing it at school, too. Right? Well, there wasn’t for me. 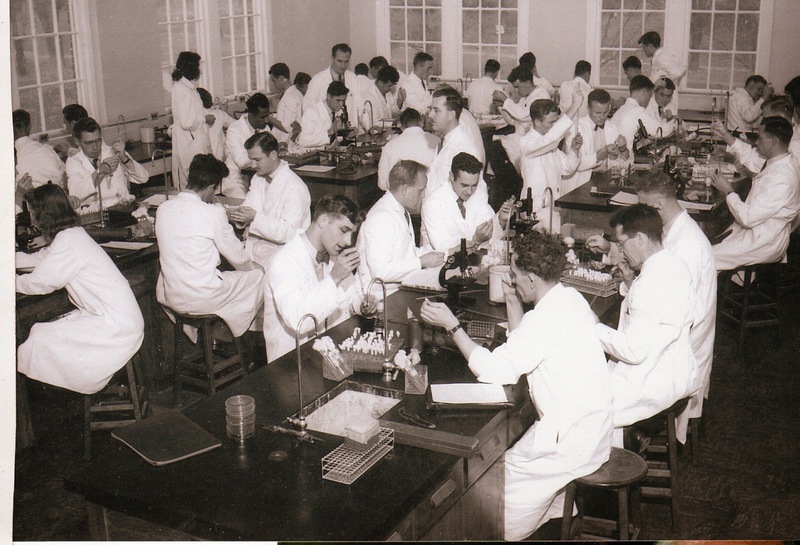 Every day, when we reported to our Home-Ec lab, it was not without a longing glance at the line of boys heading in the opposite direction. 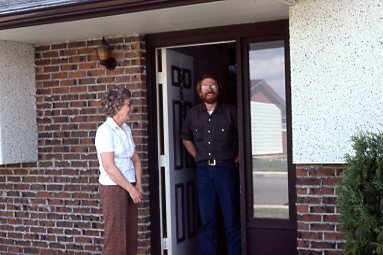 In Fort Macleod, where Husby grew up, it was the same. The girls went one way. And the boys the other. But that wasn’t the end of their perks. Not only did they get to fool around with potentially life-threatening implements, they also got to eat whatever the girls had whipped up. Can anyone spell n.o.t. f.a.i.r.? One such day stands out in Husby’s mind . . . 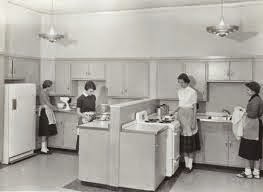 The aromas wafting from the kitchens down the hall had been teasing the young men all afternoon. Causing them to be even less attentive than usual. I know that’s hard to fathom but stay with me. Just as they were threatening to fall to the cold cement in a hunger-induced swoon, the door opened and manna from Heaven walked in. Fine. It was several girls carrying slices of pie. There was only one thing wrong. There weren’t enough pieces of pie to go around. Rather than start what was sure to be a battle to the death, the teacher announced that each boy could have exactly half of one of the slices. Husby and his good friend, Donny MacLean were handed one of the plates. Husby, ever the gentleman, told his friend to eat half and then give the rest to him. Donny nodded happily and Husby turned away, intent on whatever he had been doing when their class had been interrupted. A few moments later, Donny nudged Husby with the plate. Eagerly, he reached for his share of the treat. And found himself staring at a gaping, empty shell. He turned and glared at his ‘friend’. “I saved you half,” Donny said, shrugging. Pie with friends. Brings a whole new meaning to ‘taking your half out of the middle’ . . .
Time to think about finals. In April, 1947, the veterinarian students at the Ontario Veterinary College in Guelph, Ontario, were hitting the books in preparation for their yearend torture exercise in futility final exams. But, for some of them, the usual angst and stress were missing. Due largely to a stick and a ball. Yes. Dad has been telling stories again . . . These young men had discovered golf. Okay, I know that it isn’t always the most relaxing of games. In fact, I’ve seen golf clubs bent into pretzels by a frustrated player. But it was exactly what these young men needed. On the morning of their first test, they reported to the examination hall. Spent a couple of hours cudgelling their brains. One of them glanced at the golf course, which immediately bordered the school. If he was considering throwing himself on his bed and waving bye-bye to consciousness for a couple of hours, then yes. If he was thinking . . . They actually had a great time. And his friend had been right. They were more prepared to tackle the books afterward. For the entire nine days of final exams. I wish I could tell you that there was an unforeseen benefit to all of the golfing. Maybe that one or more of them discovered an affinity to the game. Or even went on to become a star in golf heaven. Mostly they spent their time trying to get their score under 100. And that was counting only the strokes that connected . . . So many skills and talents are discovered at college. Not all of them bankable. It’s looking like spring here in Edmonton. I don’t want to say that too loudly, just in case the powers-that-be are listening . . . But I just saw the first sign. A lemonade stand. A brother and sister. Little budding entrepreneurs smiling hopefully at everyone who passed. My son, who lives on the West coast, also saw his first stand of the season, though it’s probably not as unique in early April on Vancouver Island as it is here in the frozen north. Said son was lamenting because he wasn’t carrying cash when he spotted the stand and thus wasn’t able to offer any monetary support. “I hate to not give them anything,” he told me. I was surprised, not because he isn’t known for his generosity, but because he was so upset about it. It turns out that he had been operating a lemonade stand in his distant youth. I’m sure I had something to do with it, though the details are a lot fuzzier for me than for him. Picture it, if you will. Little eight-year-old dwarfed by the table before him, flanked by paper cups, too-large pitcher of sparkling yellow juice but armed with a big grin and tons of enthusiasm. A large, hand-printed card is prominently displayed. ‘Lemonade: 25¢’. A construction worker approached and asked for a glass. It was carefully poured and handed over. The man produced a five-dollar bill and passed it to the small boy, who promptly produced his little cash box and started to count. “Never mind,” the man said. “Keep the change.” Smiling, he left. Leaving his little server staring at the bill, an incredulous – but happy – smile now covering his face. That small boy never forgot that act of generosity. And now, every chance he gets, he pays it forward. Labels: What is being served? Maybe you’d like to hear about it . . . When he was eight years old, my Dad’s daily chore was the gathering of the eggs. And the extras were sold. It was an important job for a small boy and Dad took it seriously. One Christmas, after church services, the family was invited over to Dad’s Aunt’s house for Christmas dinner. Dad was in small boy heaven, playing. Five o’clock rolled around. Egg gathering time. And no, chickens don’t get the Sabbath off . . .
Dad wheedled a bit, knowing that his chances of getting out of the chore were slim to nil. Finally, the two of them agreed that, if he was quick, he could gather the eggs and return for a bit more play time. Happily, Dad put on his coat and headed out into the frosty air. Now, I should explain here that his mother was an accomplished seamstress. And yes, this will be relevant . . .
She had taken one of Dad’s Dad’s old suits and made it smaller for her youngest son. It fit perfectly. All that remained the original size of the original suit were the pockets. But Dad never complained. More room to hide/store things. It was this suit Dad was wearing as he charged out the door. I should also explain that the chicken coop was nestled snugly half-way between his Aunt’s house and his home. What could be more efficient that to gather the eggs on his way to his house. Only one problem needed to be addressed. He had nothing to carry the eggs in. Then, with small-boy ingenuity, the solution popped into his head. He had oversized pockets! And pants pockets for any extras. Dad proceeded to stuff the fresh, warm eggs into every available space. By the time he had finished, he had 37 of the little moneymakers somewhere about his person. Carefully, he waddled home, excited at the prospect of delivering his cargo and returning to his play. He opened the kitchen door. The warm air rolled out to envelop him as he stepped forward onto the linoleum. Disaster rolled out with it. Frosty shoes refused to grip the shining clean and very warm floor. Both feet shot out from under him. Picture it if you will. None of which were intended for egg transport. Yeah, his mother was fairly disgusted as well. Let’s just say he never made it back to play with cousins that night. Labels: Small boys and eggs.